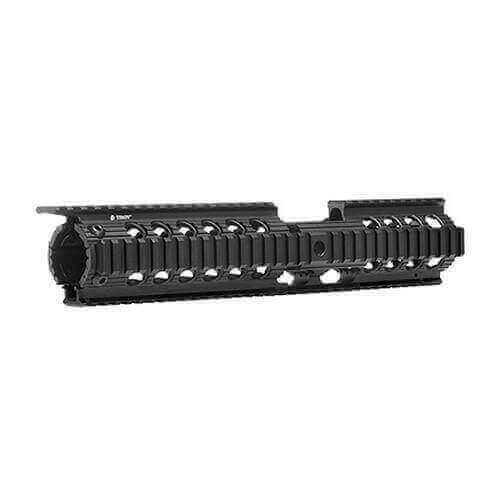 Troys revolutionary two-piece free-float rail system installs in minutes without the removal of the delta ring or barrel nut and allows the user to keep the existing fixed front sight. The Charlie Rail easily accepts all rail mounted lights with the light mounts setting flush with the front sight. Along with the Delta Rail, Troys new Drop-In Free-Float rails are the easiest to install and most versatile free-float systems available on the market. Includes two built-in Q.D. swivel mounts.